Australian Goldfields Open started today after the PTC1 ended last week. The venue is still in World Snooker Academy, Sheffield. Belgian Luca Brecel, 16 turned professional this season. 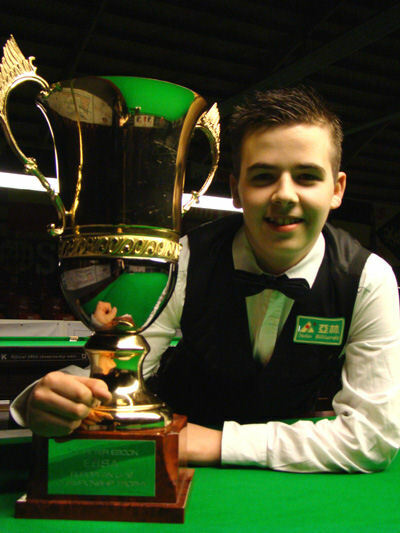 Brecel won a match in PTC1 but unfortunately he now lost in the first round, losing 1-5 to Sam Baird. Norway's Kurt Maflin won his match comfortably with 5-1 against Cao Yupeng. Tian Pengfei had a good form today. He produced top breaks of 84, 71 while Aditya Mehta hit a 118. In the last frame Tian won on the respotted black to secure a 5-1 win. Recently married Ben Woollaston saw off one of the Q School winners, Adam Duffy 5-2 with 110 and 84. China's Li Yan and Poland's Kacper Filipiak made their debut this season. Both players did not have big breaks in the match but Li won 5 frames in a row to whitewash Filipiak. 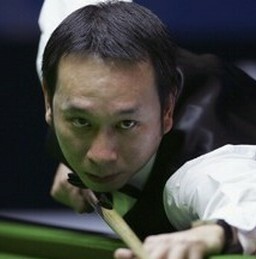 Impressive win from James Wattana today, he defeated European Amateur Champion Daniel Wells 5-2 with 95, 76, 61 and 59. Wattana had a fair start of the new season, winning 3 matches in PTC1. There are 3 deciders undergone today and the winners are Yu Delu, David Gilbert and Liam Highfield.